Ever wanted to be a scientist? Now is your chance! 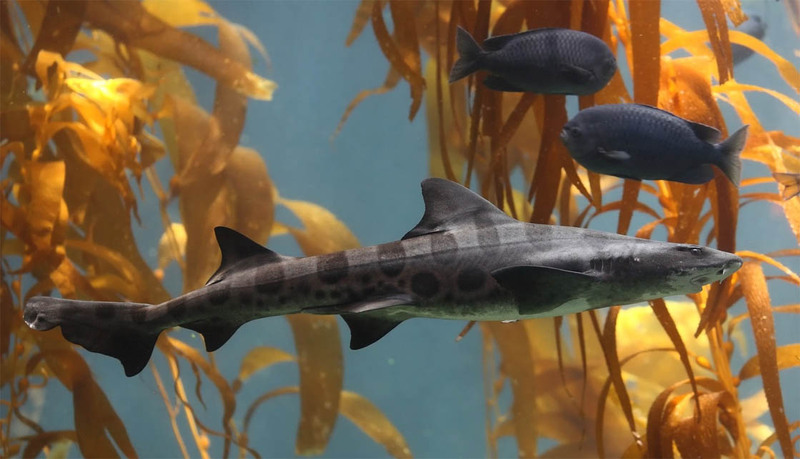 The California Academy of Sciences is teaming up with the Marine Protected Area Collaborative Network for Snapshot CalCoast 2017! From June 23rd-July 2nd, teams across California will head to tide pools in marine protected areas (MPAs) to discover, photograph, and identify intertidal marine species. Put your smartphone to good use, download the iNaturalist app, and become not only a citizen scientist, but a conservation superhero today! Biodiversity is at the heart of ecosystem balance. By better understanding and protecting biodiversity, we are taking action toward more effective conservation. Ecosystems that have a higher level of biodiversity are more robust, can more easily bounce back from environmental changes and are generally more sustainable. MPAs in particular have been identified to successfully increase biodiversity, which, in turn, boosts productivity, increases resilience and establishes overall healthier ecosystems. A Bioblitz is a community event in which many people come together to document biodiversity by observing and recording as many species as they can in one area at one time. Bioblitzes are not only fantastic opportunities to get involved in the community, but also to connect you to both nature and science in a positive and rewarding way. Snapshot CalCoast uses the iNaturalist platform to bridge the gap between technology and outdoor nature, connecting social media to conservation and enabling you to share your discoveries through a fun, inspiring, and easy-to-use medium. RSVP to Eventbrite required. Spaces are limited. Want your own adventure? Head out on your own, or with friends and family! Choose any coastal location between June 23rd and July 2nd, especially within Marine Protected Areas, and share your observations. Be sure to keep an eye out for the animals on the most wanted species list! All information collected will not only help improve knowledge of coastal biodiversity, but also be used by coastal managers to improve conservation efforts. Spread the word, invite your friends and family, and together, let’s make a positive impact and document our beautiful California coast! To learn more about how to use iNaturalist, click here and be sure to share! #SnapshotCalCoast @SnapshotCACoast. Sept. 30, 2016 — This Saturday, October 1, marks the opening weekend of the recreational lobster fishing season in California, officially beginning at 12:01 a.m. This is one of the busiest weekends on the water in Southern California, and it’s important that people stay safe and know the rules. So, here’s Heal the Bay’s cheat sheet to the recreational lobster regulations. 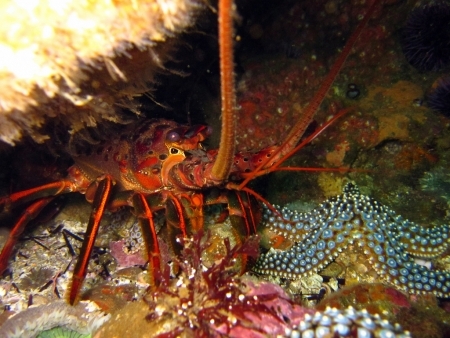 On the resource side, the state Department of Fish and Wildlife recently adopted California’s spiny lobster fishery management plan (FMP) to ensure that the fishery is sustainable for both the commercial and recreational sectors, while keeping the Southern California lobster population healthy and thriving. New regulations associated with the FMP won’t take effect until next year’s 2017/2018 lobster season. Heal the Bay participated as the environmental stakeholder on the advisory committee for the management plan. Spiny lobster play an important role in our kelp forest and rocky reef systems, keeping things balanced by feeding on sea urchins, mussels, and other invertebrates. And, it’s not just people that enjoy rich, sweet taste of lobster, California sheephead, cabezon, horn sharks, and other animals also eat lobster. The good news is that lobster populations are generally doing pretty well in Southern California, especially with the implementation of marine protected areas in 2012. There has been a commercial fishery in California for spiny lobster since the late 1800s, and now California’s lobster fishery is consistently one of the top five in the state. It is almost entirely based in Southern California. The commercial fishery season typically opens about 5 days after the start of the recreational lobster season. Never dive alone. Always dive with a buddy, and keep him or her close. Divers who are dozens of feet apart may not be quick enough to respond in an emergency situation. When free-diving, one buddy should remain on the surface while the other dives in case of a shallow water blackout situation. Don’t dive in areas you are unfamiliar with. If you’d like to try a new spot, check it out in the day first to familiarize yourself before heading out at night. Watch the weather and ocean conditions. Winds and surge can threaten boats and divers, especially near rocky areas and close to shore. If you are setting hoop-nets, be aware of your line. The polypropylene line can get tangled in your boat prop if you are not careful and may disable your boat. Keep a back-up flashlight or headlamp aboard your boat. Divers should also carry a back-up dive light. As a diver or boater, avoid encroaching on boats that have staked out a spot. Inform someone at home of your dive plan or boat plan before you head out on the water. When driving your boat at night, watch the water closely for lights and bubbles from submerged divers and avoid those areas. If you end up too close to divers, put your boat into neutral until you pass them to avoid an unsafe encounter. All recreational lobster fishermen 16 years old and older must have a valid sport fishing license. All recreational lobster fishermen (regardless of age) must have a spiny lobster report card in their possession while fishing for lobster or assisting in fishing for lobster. Report cards must be reported online at wildlife.ca.gov/reportcards by April 30, following the close of lobster season. The recreational catch limit is seven lobster, and no more than one daily bag limit of seven can be taken or possessed at any time. (You cannot have more than seven lobster per angler at home at any given time). Minimum size limit is 3.25 inch carapace length (measuring from the rear of the eye socket between the horns to the back of the body shell, or carapace). 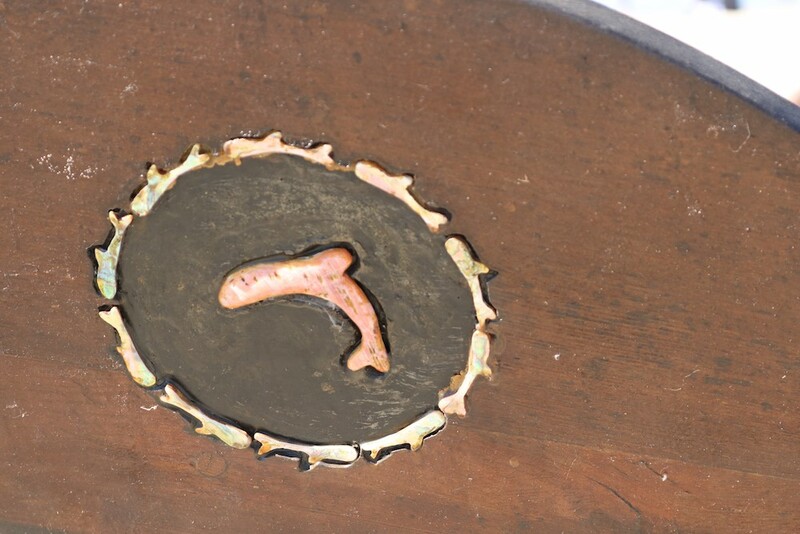 You must carry a lobster gauge to accurately measure catch. All undersize lobster must be released immediately after measurement. Do not tail your lobster. Separating the tail from the head makes it impossible to determine whether the lobster is legal size or not, so the lobster must be landed whole. Open lobster recreation season runs from the Saturday before the first Wednesday in October, through the first Wednesday after March 15. The 2016-2017 season runs from October 1, 2016 – March 22, 2017. Lobster can only be taken by hand or hoop net, and recreational fishermen are limited to no more than five hoop nets/person and vessels may not carry more than 10 hoop nets. When fishing from land, fishermen are limited to two hoop nets. Interference with commercial traps or recreational hoop nets is prohibited. 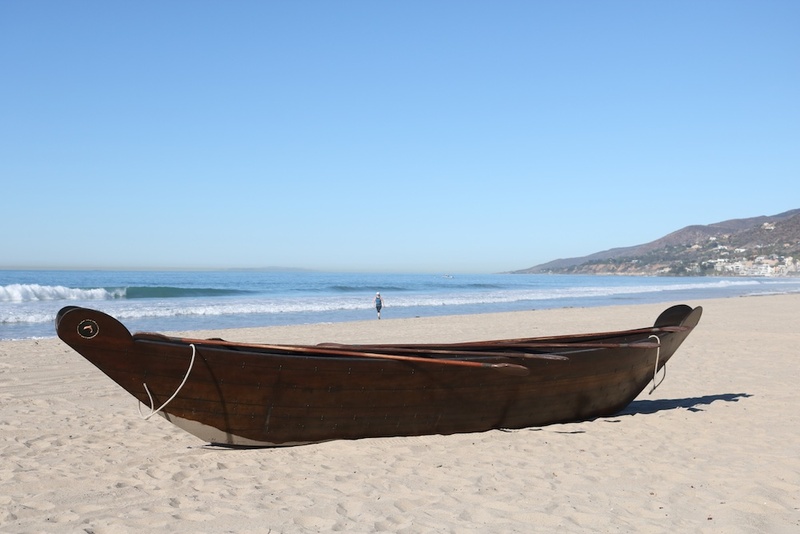 Both commercial and recreational fishing are part of California’s coastal culture. And, charismatic lobster are also a favorite species to spot for non-consumptive divers, making great photo subjects as well. Be safe and have fun this lobster season! More information is available on the Department of Fish and Wildlife website and through this tip-card. Spiny lobsters are most active night, posing some challenges for divers. 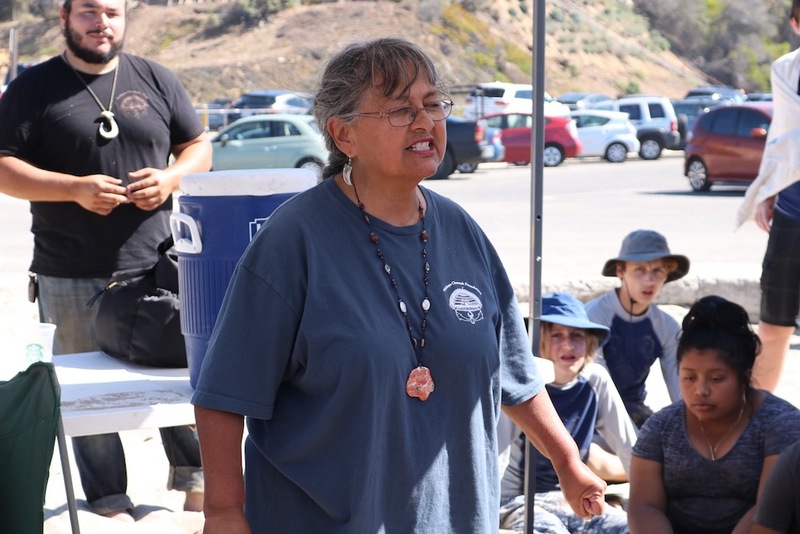 June 7, 2016 — Julie Edwards, Heal the Bay MPA Intern, highlights the recreational opportunities – such as tide pooling – that Angelenos can enjoy in our local marine protected areas. Join us for our next MPA Watch citizen science training in late July! This month, I did something I haven’t done since I was a child – I went tide pooling. Tide pooling is a great activity for anyone at any age; all it takes is a keen eye! With a little luck you can find curious octopuses, bright green anemones, spiky purple sea urchins and slimy sea hares. There are great tide pools in Little Dume Cove, which is within the Point Dume State Marine Reserve, where all marine life is protected. The reserve is part of California’s statewide network of Marine Protected Areas (MPAs), which stretches along the state’s coast. MPAs preserve ocean habitats, as well as the diversity and abundance of marine life. They also provide recreational and educational opportunities, such as tide pooling! The more upcoast tide pools near Paradise Cove are formed by tall rocks, making tide pooling possible even at mid-tide! In these northern pools you can see woolly sculpins, sand castle worm colonies, and turban snails. You might even get lucky and spot a beautiful chestnut cowrie, like the one pictured on the right. Remember to tread lightly on rocks to avoid stepping on marine life, be gentle when touching critters, and leave animals in their tide pool homes. Check the tides before you go and time your visit for a low tide. Please be careful and do not climb on the rocks – they are slippery and wet, so it is very easy to fall and hurt yourself. On the northern end of Little Dume Cove, the rocks are covered with mussels and barnacles. There are some anemones hiding amongst the barnacles in shallow pools formed in the rocks so try to spot them! Heading south in Little Dume Cove, the pools are no longer formed by ridges of large rocks and are instead formed by many low rocks and small boulders. This area is very accessible and would be great for the whole family. Be sure to get there at the low tide, the rocks are easy to walk across and there is less chance of getting splashed by incoming waves. These pools have an abundance of life but please don’t take anything home! This is a State Marine Reserve so fishing/harvesting of all marine resources is prohibited. 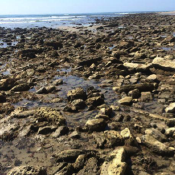 If you see anyone collecting from the tide pools during your trip to Little Dume Cove and the Point Dume State Marine Reserve, please call the California Department of Fish and Wildlife at 1-888-334-CALTIP. From June 4th-12th the CA Coastal BioBlitz will bring people together to document biodiversity in one place at one time, record observations of plants and animals using smartphones or digital cameras and upload results to the biodiversity recording platform iNaturalist. 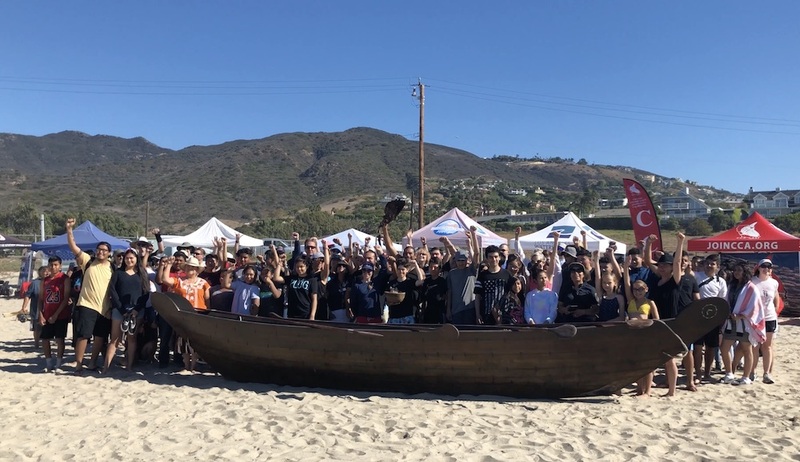 Read more about Heal the Bay’s own BioBlitz events in Malibu and Ballona. Heal the Bay got its start as an all-volunteer organization in 1985, birthed in the Westwood living room of founding president Dorothy Green. Since then, Heal the Bay has matured into one of Southern California’s most effective environmental organizations, fueled by science, advocacy, community engagement, and education. To ensure that we remain focused and that our day-to-day work aligns closely with our key goals, we recently completed a new strategic plan, thanks to a grant provided by the David and Lucile Packard Foundation. Here’s an (admittedly) detailed look at how we are organizing ourselves and our efforts over the next five years. To better protect public health, we will work to ensure that people can swim and fish at every beach in L.A. County without risk of getting sick. To ensure a more sustainable water future, we will work to ensure that L.A. County sources 60% of its water locally through conservation and reuse by 2025. To restore the vibrancy of our local ocean and watersheds, we will work to ensure that all greater L.A. coastal and river habitats are healthy. To achieve these goals, we have aligned our work around three key pillars: thriving oceans, healthy watersheds, and smart water management. Restore, enhance, and protect ocean and coastal habitats, so that they are filled with life. You can help Heal the Bay’s staff scientists by joining our MPA Watch community-science program. We also work closely with researchers and agencies to evaluate climate change impacts to Southern California coastal environments and help coastal communities adapt to these changes. Safeguard local coastal waters from pollution, while playing a watchdog role to protect against emerging threats. Stormwater is the biggest source of pollution to the Santa Monica Bay. With runoff comes all sorts of urban slobber – bacteria, motor oil, pesticides, trash, and other pollutants. 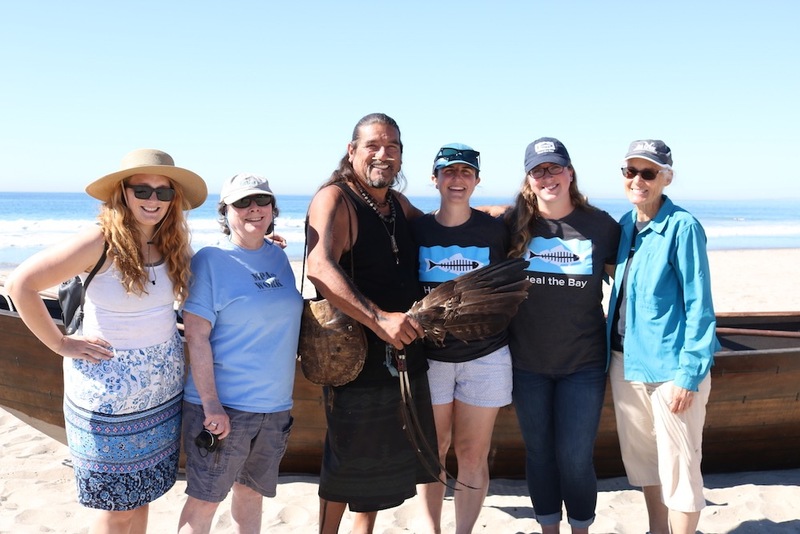 Heal the Bay staff continue to fight against plastic pollution through education and proactive policies to protect aquatic life from confusing trash as food or becoming entangled in plastic that pollutes local waters. Ensure that seafood caught for consumption in Santa Monica Bay is safe to eat. DDT- and PCB-laden runoff and wastewater discharged from the Montrose Chemical Corp. and other Southland-based industries from the 1940s-80s have resulted in a large swath of contaminated sediments off the coast of Palos Verdes. Since 2002, Heal the Bay staff have been educating anglers at piers throughout Los Angeles about what fish are safe to eat and which ones they should avoid. We are also working with researchers and agencies to better understand these pollution problems and advocate for clean-up and remediation. Improve public knowledge about our local coast and ocean, and empower people to help protect them. Heal the Bay educates nearly 200,000 people each year through both formal and informal education programs. 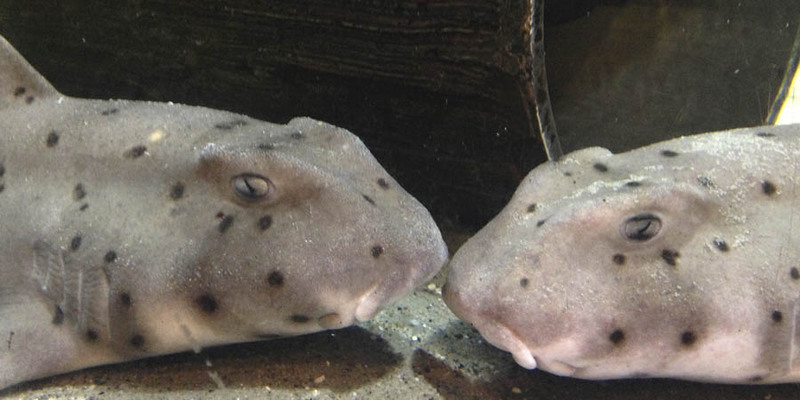 Come experience the Bay at our Santa Monica Pier Aquarium and learn more about local wildlife. Or, join us for a monthly beach clean-up to learn about pollution and help keep trash from entering our local waterways. Understand the current health of watersheds in L.A. County. In order to protect local watersheds, we have to know what is threatening the habitat, water quality, and aquatic life. Heal the Bay partners with researchers, NGOs, and volunteers to study these threats, including programs like our citizen science supported Stream Team. Once threats are identified, Heal the Bay works to advance policies, projects, and education to improve watershed health. Connect communities to their rivers, streams, and wetlands. Hundreds of miles of rivers and streams throughout greater L.A. are paved with concrete channels. Although they may help with flood control, the viaducts serve as a barrier to the public. Many Angelenos don’t even know these channels are actually rivers. The few natural streams and rivers that exist here are havens for birds and plants. 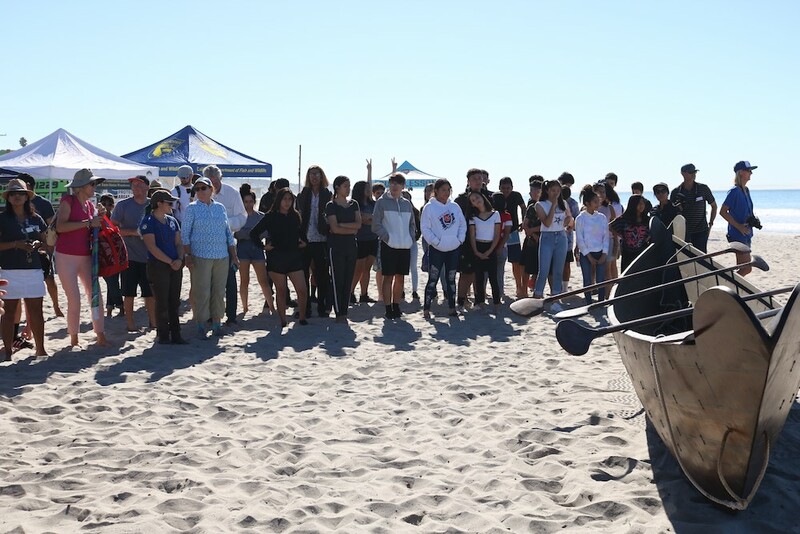 Through our urban education and outreach programs, Heal the Bay helps connect communities to local streams and waterways, so they can learn about the threats, see the benefits of watershed health, and help advocate for enhancement of their natural and built environment. Advocate for enhancement and protection of riparian corridors and wetlands. Heal the Bay staff advocate before local and state agencies in an effort to pass policies and shape programs to enhance rivers and wetlands. Our work helped lead to the restoration of Malibu Lagoon in 2013, and there are new opportunities for the largest wetland restoration in the L.A. region with Ballona Wetlands. Enhance public understanding about watershed health, and empower people to help protect it. Heal the Bay education and outreach staff work through a variety of programs to inform people about watershed health. Come check out the watershed exhibit at our Santa Monica Pier Aquarium, which features the tidewater goby, a federally endangered fish that inhabits local estuaries. Ensure that beaches and waterways are safe for swimming. 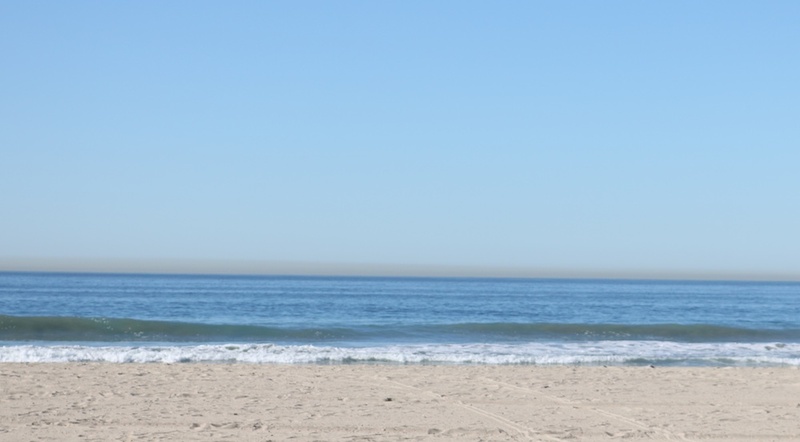 Millions of people visit California beaches each year, and no one should get sick from a day at the beach. That’s why Heal the Bay has been grading beaches on our Beach Report Card for over 20 years on an A-F scale to inform beachgoers about what beaches are clean for swimming and which ones to avoid. We also work with local and state government to find ways to clean up dirty beaches in the region. And we’re piloting a program with Stanford University to start forecasting water quality at historically troubled beaches. Protect water quality throughout the region. Stormwater, or urban runoff, is the largest source of pollution to the Santa Monica Bay. By fighting for strong pollution limits and water quality regulations, Heal the Bay helps make sure local governments, industrial and commercial entities are accountable for their stormwater. Cleaning up local waterways benefits both people and aquatic life. Improve the rate of water recycling. Each day wastewater treatment plants uselessly send hundreds of millions of gallons of highly treated wastewater into local rivers and the Pacific Ocean. Only a small percentage is recycled for industrial uses or irrigation. If more wastewater was treated to a higher standard, it could be recycled and substantially reduce the region’s reliance on imported water and simultaneously bolster regional water supplies. We continue to advocate for more projects and funding support to increase water recycling throughout the region. Advance greater stormwater capture and reuse. Each day roughly 10 million gallons of urban runoff flows through L.A County stormdrains, picking up pollutants and eventually reaching the ocean without the benefit of any treatment. On a rainy day, that volume can escalate to 10 billion gallons. Our science and policy team is working to ensure stormwater management planning and implementation includes multi-benefit solutions that improve greenspace, beautify communities, and capture water onsite for reuse or recharging groundwater. This includes working with state and local governments to find creative ways to fund stormwater programs. Advocate for alternatives to desalination. It’s a common suggestion to turn to the ocean as a water source in water scarce times. Many people don’t realize that desalination is an energy-intensive, inefficient technology that threatens marine life. Heal the Bay is working to advance conservation and expansion of local water sources, such as stormwater cleansing and reuse, and wastewater recycling to avoid turning to desalination. Create greater public understanding about water quality and supply, and empower people to advocate for a cleaner and more reliable water future. Where does our water come from? Especially in a large region like greater L.A.? If you’re feeling sheepish that you don’t know the answer, most Angelenos don’t either. 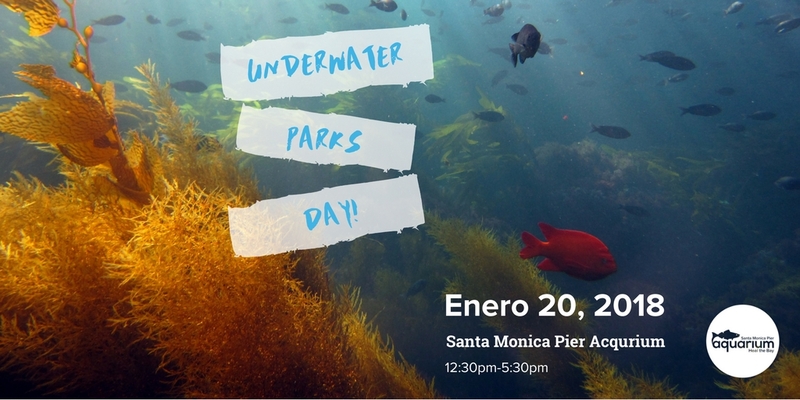 Heal the Bay educators will be working with partners through our new “Dropping Knowledge” community-outreach project to educate Angelenos in Korean, Spanish, and English about how to maximize local water. We can’t expect people to be part of the solution to our water woes if they don’t understand the problem. As you can see, we’ve got our work cut out for us. 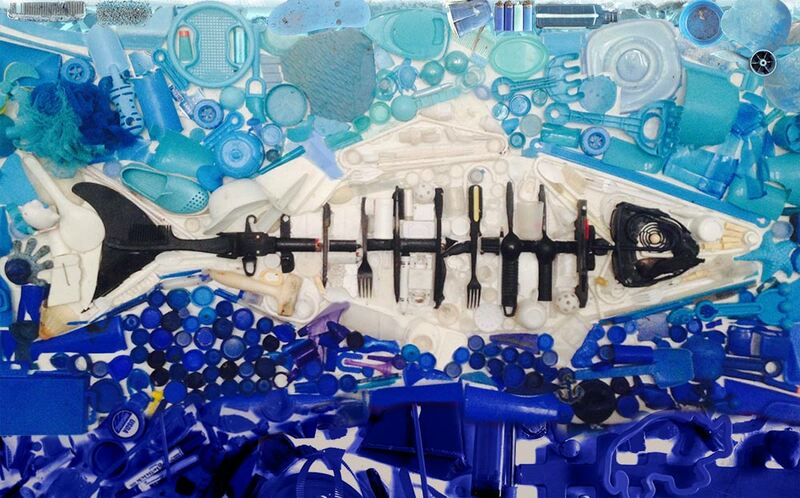 If you’d like to make a contribution toward a cleaner ocean and healthier L.A., please click below. Local shorelines already impacted by climate change are now bracing for El Niño. The picture may not be pretty, says Heal the Bay’s Dana Murray, but there are things we can do to prepare. What will El Niño’s footprint be on our beaches this winter? No one can say for sure, but the expected heavy precipitation and storm surges in California this winter will certainly take their toll on our local shorelines. Couple that with already rising sea levels due to climate change and the outcome could be seriously destructive and dangerous for coastal life. Based upon historic El Niño events like 1982-83 and 1997-98, much of Southern California’s beach sand may disappear, coastal bluffs will suffer serious erosion, and some homes and businesses will flood. The suite of impacts associated with both El Niño and climate change is also a serious stressor to ocean life. It’s important to note that El Niño is not climate change. Rather, it’s a natural cycle on Earth that occurs every 7-10 years. What remains to be seen is if our coastal ecosystems can recover and survive climate change-intensified El Niño events. This makes strong coastal and ocean policies even more important, and Heal the Bay staff are busy advocating for such management measures. By creating marine protected areas and reducing the ocean stressors that we can control, such as pollution, inappropriate coastal development and overfishing, we are helping to buffer coastal and ocean environments from harm associated with strong El Niño events. The eastern tropical Pacific typically averages about 10°F cooler than the western Pacific, making it more susceptible to heat-induced temperature increases, as well as creating conditions ripe for global warming to usher in Godzilla El Niños. Scientists predict that super or “Godzilla” El Niño events will double in frequency due to climate change. This is not to say that we will have more El Niños, but rather, the chances of having extreme El Niños doubles from one every 20 years in the previous century to one every 10 years in the 21st century. Although ocean temperatures are the common measure to evaluate El Niño intensity, sea level heights also provide an important glimpse into the strength of an El Niño. In some areas of the Pacific, particularly along the eastern side, sea levels actually rise during an El Niño. Currents displace the water along the equator, and warmer waters expand, which results in higher sea levels in the eastern Pacific and lower levels in the western Pacific. It’s important to remember that a rise of just a few inches in sea-level height can contribute to El Niño impacts. During an El Niño, marine life has to contend with stress due to extreme fluctuations in sea level, as well as warming ocean temperatures and ocean acidification due to climate change. In the tropical western Pacific, climate change will more than double the likelihood of extreme changes in sea levels that could harm coral reefs. Extreme sea level drops in the western Pacific will also last longer, putting coral under even more stress. During the 1997-98 El Niño, sea levels dropped up to a foot in the western Pacific, leaving coral reefs high and dry. 2015’s El Niño has already caused the sea level to drop seven inches in the western tropical Pacific Ocean. Back in California, El Niño also quashes the usual upwelling of cold, nutrient-rich seawater along our coastline. The cold California current supports our oceanic food chain: from plankton and fish species, to kelp forests and marine mammals. Fish have responded to warming ocean temperatures this year by migrating north or out to sea in search of cooler waters. Consequently, sea lions have had to venture further from their young to look for those fish as their primary food source. This has had a cascading effect on California sea lion populations, leading to an unusual mortality event for sea lions this year. 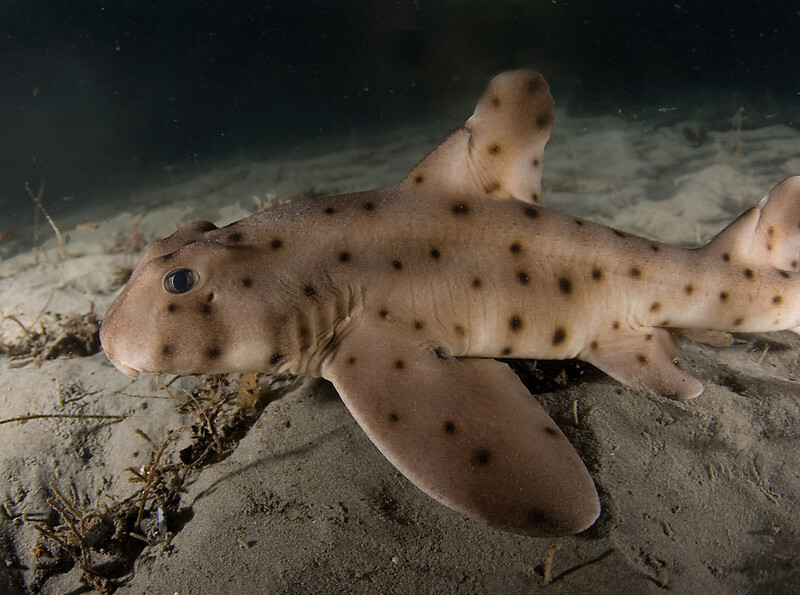 Following the warm ocean water, an influx of southern, more tropical marine life have moved up along California this year, such as whale sharks, pelagic red crabs, and hammerhead sharks. Riding the warm ocean currents across the Pacific and Indian Oceans, the only sea snake that ventures completely out to sea has been spotted in Southern California waters and beaches as far north as Oxnard for the first time in 30 years. The Yellow-bellied Sea Snake has some of the most poisonous venom in the world, and is a descendant from Asian cobras and Australian tiger snakes. This sea snake is a harbinger of El Niño–it typically lives in warm tropical waters. The last time the yellow-bellied snake was spotted in California was in the early 1980’s during an El Niño. 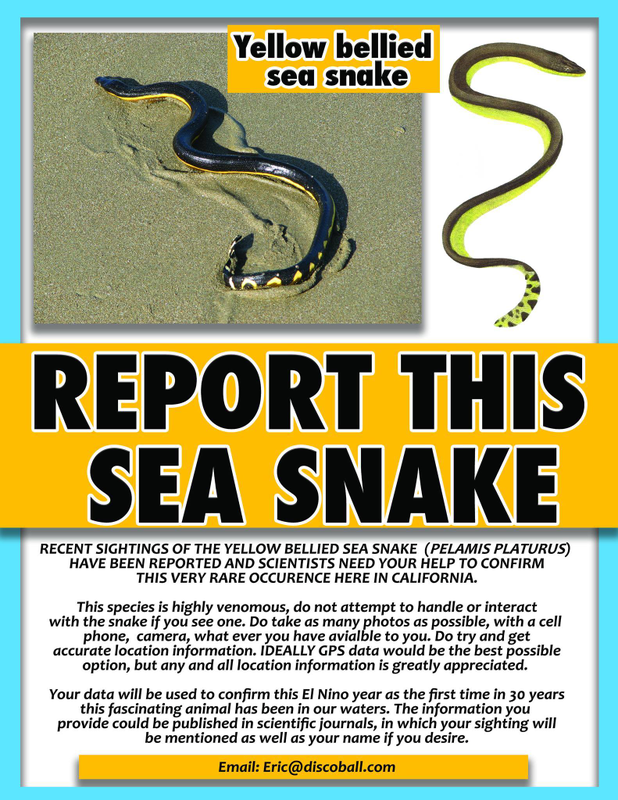 Scientists are calling for the public’s help to confirm occurrences of these sea snakes in California and your sighting could be published in scientific journals. A recent sighting took place in the Silver Strand beach area in Oxnard. As the yellow-bellied sea snake is highly venomous, the public should not handle it. Instead, take photos, note the exact location, and report any sightings in California to iNaturalist and Herp Mapper. El Niño-caused sea level rise, coupled with sea levels rising from ice sheet melt associated with climate change, is projected to lead to more coastal flooding, shrinking beaches, and shoreline erosion. This year’s El Niño has western U.S. cities planning for coastal flooding. Higher sea levels, high tides and storm surges that force waves well past their usual reach pose very real threats. And when these forces coincide, such as during an El Niño, significant inundation can lay siege to coastal communities, freshwater supplies, wastewater treatment plants, power plants, and other infrastructure — not to mention public health and the environment. 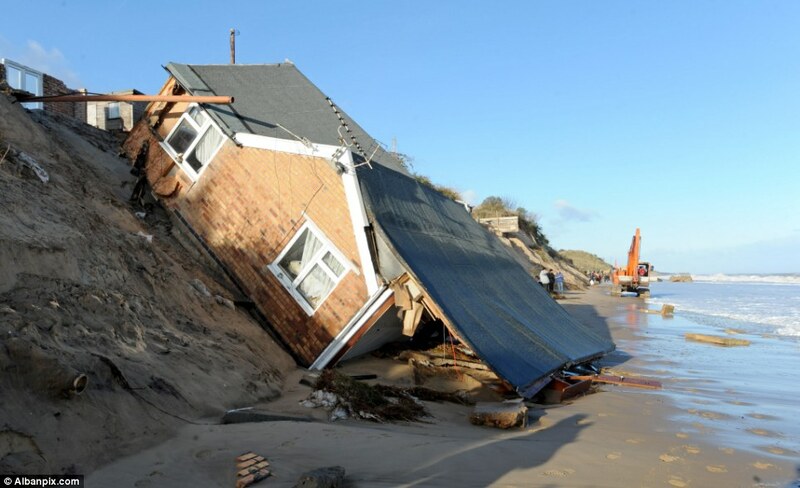 Locally we have several communities that are particularly susceptible to coastal flooding and erosion (photo on right shows home on Malibu beach). Venice Beach, San Pedro, and Wilmington are some of the most vulnerable local communities to flooding, according to a USC Sea Grant study examining sea level rise impacts for coastal communities in the City of Los Angeles. Sea level rise in Los Angeles may reach 5.6 feet by 2100, which may be further exacerbated by El Niño storm events, high tides, and storm surge – especially when big wave events occur at or near seasonal peak high tides, or King Tides. Some sandy beaches in Malibu are already eroding away with each wave that crashes on armored sea walls. Beach parking lots and playgrounds in Huntington Beach become inundated after a winter storm, as storm surges push seawater deeper into the built environment. At Heal the Bay, we’re committed to advocating for environmentally sound climate change adaptation methods through participating in local stakeholder groups such as Adapt-LA, analyzing and commenting on proposed plans and policies, and educating the public about the coastal threats associated with climate change. We want to help everyday people understand how they can support sound solutions that protect our critical natural resources. It’s imperative that coastal communities invest in environmentally sound adaptation solutions to be resilient in the face of climate change, especially during an El Niño year. The environmental, economic, and social impacts of sea level rise in California emphasize the importance of addressing and planning. Preparing for El Niño and climate change requires time, money, and planning, but by investing in the long-term health of our coastal communities, we can foster resilience to coastal climate change. Protecting and restoring marine and natural coastal areas like wetlands, kelp forests, and sand dunes will leave both us and the environment better prepared and protected as we brace for the impact “Godzilla” El Niño and climate change traipsing down our beaches this winter. The Governor’s office has been busy over the last few weeks reviewing nearly 1,000 bills that reached his desk after making it through the California legislature this year. While he focused on pressing public policies issues, like healthcare and criminal justice, he also weighed in on several environmental issues, including climate change, oil spills, and water. Here’s a quick round-up of the bills that became law in the areas of water and coastal environmental protection, many of which Heal the Bay weighed in upon throughout the session. For the full list of bills that were both signed and vetoed, visit the Governor’s website. Plastic Pollution AB 888 (Assemblymember Bloom) bans the sale of personal care products that contain plastic microbeads in California, starting in 2020. Microbeads are currently used in shampoos, soaps, toothpaste, and exfoliating beauty products. Microbeads have become a major source of pollution in waterways, and have become ubiquitous in both the Los Angeles River and Pacific Ocean. This is a huge product stewardship bill that will hopefully set the stage for the elimination of microbeads in other states and products that reach beyond the U.S.
MPA Enforcement AB 298 (Assemblymember Gonzalez) gives enforcement personnel the authority to cite people that are illegally fishing in marine protected areas (MPAs) with an infraction or a misdemeanor, ensuring that lawbreakers are held accountable without placing a burden on the courts. All Marine Protected Area (MPA) violations were previously misdemeanor crimes and often prosecuted without priority. 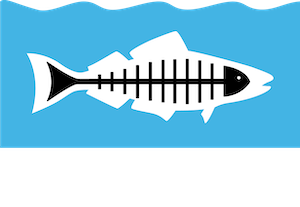 Heal the Bay worked with partners to successfully pass this legislation that will strengthen enforcement of our state’s MPAs. This law will help enforcement agencies to combat poaching and illegal fishing in the MPAs off California’s coastline by issuing violators with a ticket – akin to a traffic violation – to enforce restrictions. Oil Spill Response SB 414 (Senator Jackson) helps make oil spill response faster, more effective, and more environmentally friendly by creating a program for fishing vessels to voluntarily join in oil spill response and place a temporary moratorium on the use of dispersants within state waters. Catalyzed by the devastating Plains All American oil spill in Santa Barbara earlier this year, the Governor remarked that together SB 414, SB 295, and AB 864, will improve planning for and prevention of oil spills in California. 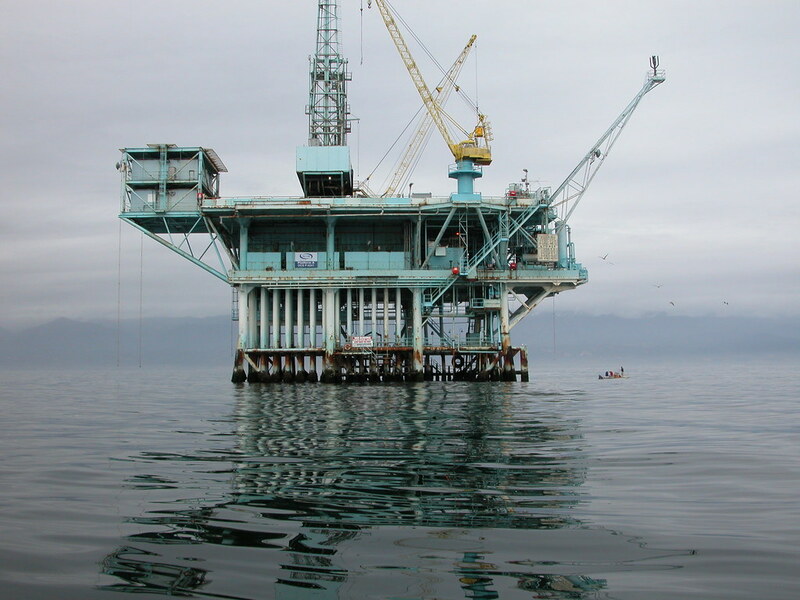 Oil Pipeline Safety AB 864 (Assemblymember Williams) requires oil pipeline operators located near environmentally and ecologically sensitive areas near the coast to use the best available technology to protect state waters and wildlife. This includes automatic shut-off valves, leak detection technology, and requires pipeline operators to document the best available technology used in their oil spill contingency plan. Oil Pipeline Testing SB 295 (Senator Jackson) requires the State Fire Marshal to annually inspect all intrastate oil pipelines, and hydrostatic testing of pipelines over five years of age to be tested every two-to-three years. It also requires high-risk pipelines to be tested annually. L.A. River Restoration AB 530 (Assemblymember Rendon) establishes a local working group tasked with updating the Los Angeles River Master Plan to develop a revitalization plan for the Lower L.A. River, which is a priority for the new Speaker. Substantial work has already been done to restore the Upper L.A. River within the boundaries of the City of Los Angeles, and this bill establishes a framework for restoration efforts also to be dedicated for the Lower Los Angeles River. Water Auditing SB 555 (Senator Wolk) Requires water retail suppliers to audit their systems for water loss and report these losses annually to the State Water Resources Control Board. This bill is aimed at reducing the billions of gallons of water that are lost each year from leaks in aging pipes and municipal water systems. It also requires the State Water Resources Control Board to set standards on acceptable leak rates by July 1, 2020. Previous leak rates were required to be reported every five years. Drought Landscaping AB 1164 (Assemblyman Gatto) prohibits cities and counties from passing or enforcing rules to ban the installation of drought-tolerant landscaping or artificial turf on residential property. Mandated Renewable Energy SB 350 (Senator De Leon) aims to create a green energy transformation in the state. Building on AB 32, this law requires California to produce half its electricity from renewable sources like solar and wind by 2030, while doubling energy efficiency in homes, offices, and factories. Green Transportation SB 767 (Senator De Leon) allows the Metropolitan Transportation Authority (MTA) to seek voter approval for a tax increase for transportation projects. Voters would be allowed the opportunity to weigh in on a resulting measure on the ballot geared towards reducing traffic and improving transportation throughout Los Angeles. Heal the Bay has been tracking development of the transportation measure to advocate that it also have water quality benefits. Climate Change Adaptation AB 1482 (Assemblymember Gordon) expands the Strategic Growth Council’s mandate to oversee state and federal agency coordination on climate change adaptation, promoting integration of climate adaptation into planning and investment decisions around natural resources protection and infrastructure. Climate Change Policy SB 246 (Senator Wieckowski) creates Climate Action Team to coordinate the state’s climate change adaptation policies, including facilitating development of regional and local adaptation plans. It also requires the Office of Planning and Research to establish a clearinghouse for climate adaptation information.